Surpreme Stuffed Pizza Burgers. Huh??? My crew has decided that stuffed burgers are a staple in this house. I don’t blame them. These burgers are tasty, and I can add things to them they normally would’t eat. I had a random thought as I was sitting up this morning. Can you combine pizza and burgers? I mean seriously, could you? Now, I know they have bacon cheeseburger pizzas. 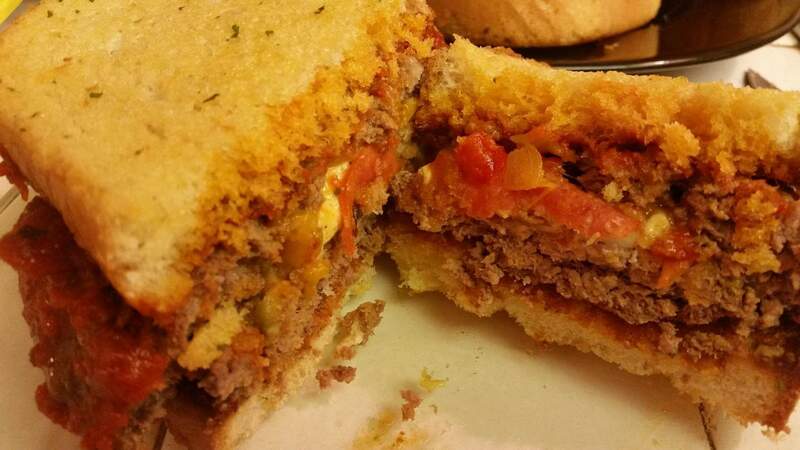 Those are tasty, but has anyone attempted to do a stuffed pizza burger? I know, “that’s a lot of food”, or “are you nuts?”. No it’s not, and yes, I am, but you guys love it! 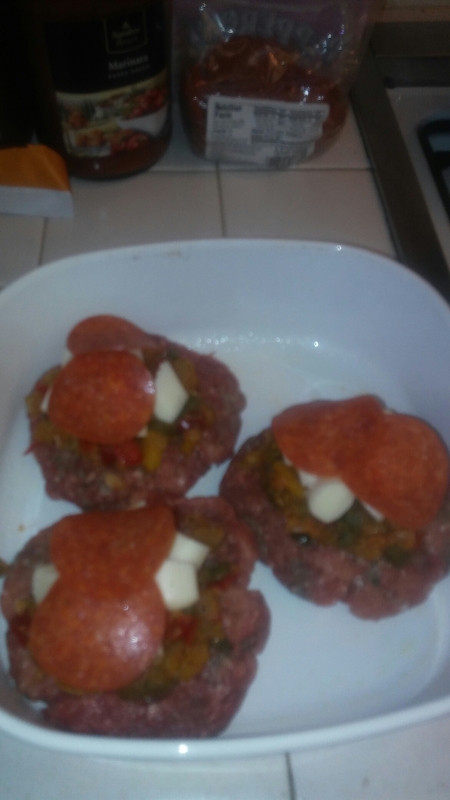 In my crazy mind, I came up with Supreme Stuffed Pizza Burgers. Oh yeah, I went there. Even then, I wanted to make sure it wasn’t as fattening as it sounds. There are other recipes out there, but I think mine is easy, lean, and tasty to make. 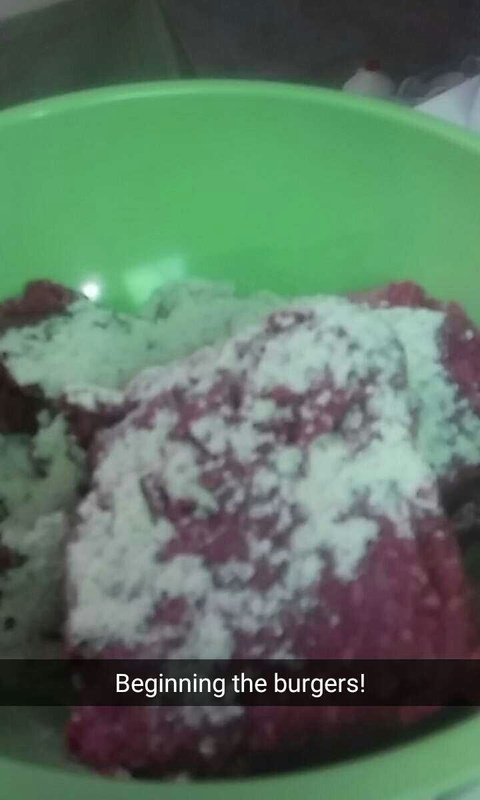 In a bowl, mix bison, turkey, and ranch seasoning. Set aside. Heat oven to 400. Bake texas toast according to directions, and set aside to cool. 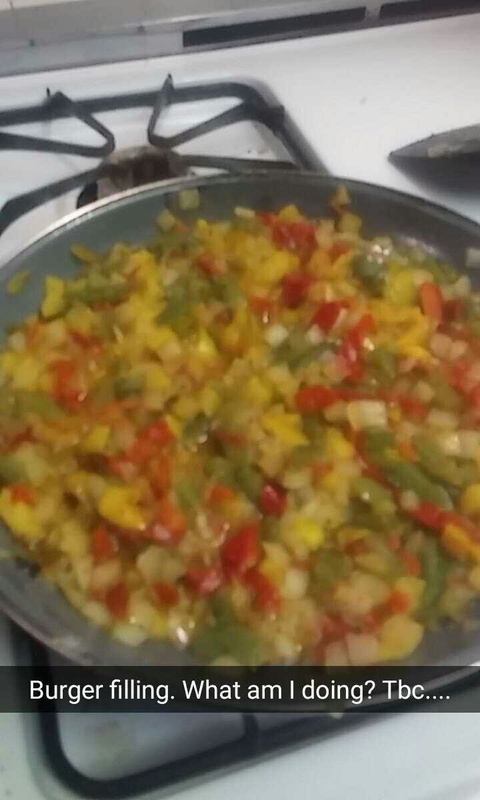 In a pan, sautee onions and peppers. Mix in italian seasoning and breadcrumbs. In a greased pan(I use coconut oil spray), begin the assembly of the burgers. Take a spoonful, and make a patty. 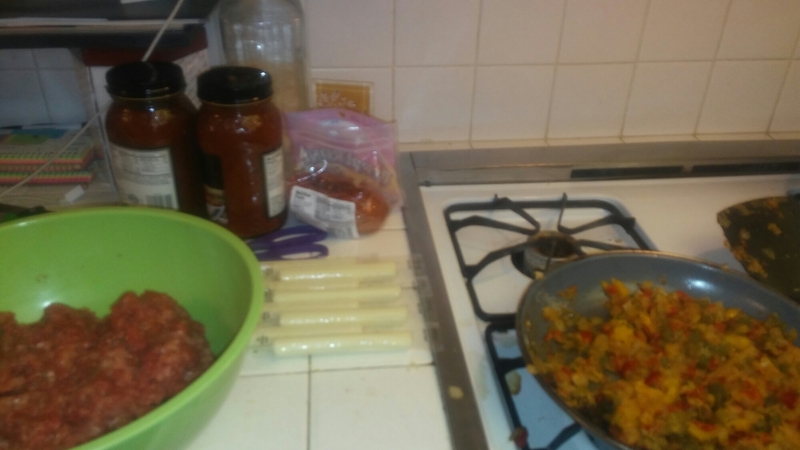 Add a teaspoon of pepper mix, diced string cheese(about eight pieces), and two slices of pepperoni. Make another patty, and close the burger. Make sure the burger is closed or filling will fall out. Top with marinara sauce. Bake in the oven for 1 hour or until burgers are brown. Make burger with texas toast and serve with salad or fries. You can make the burgers up early and store for maybe a day no later than 3 days. I mean why not take two favorites in your house and not combine them, right? Added bonus! It’s lean and healthy. If you want it to be healthier, lose the texas toast, or just have one slice. 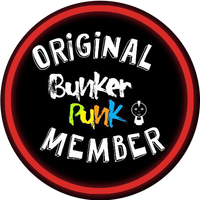 Make it, and leave some pictures and comments here or on the facebook page! Enjoy! Previous Post Di’Saronno: Tastes like Almonds and Apricots but it’s not. Wait wha?